You may remember this quote from our blog post: “The Untold Story of Albion.” In light of Brian’s ability to find and retain the industry’s top talent, I wanted to spotlight our incredible team here at Albion. Each month, we will virtually introduce you to a member of our team. I look forward to chatting with my teammates about their interest in the construction industry, hobbies outside of work, and more. 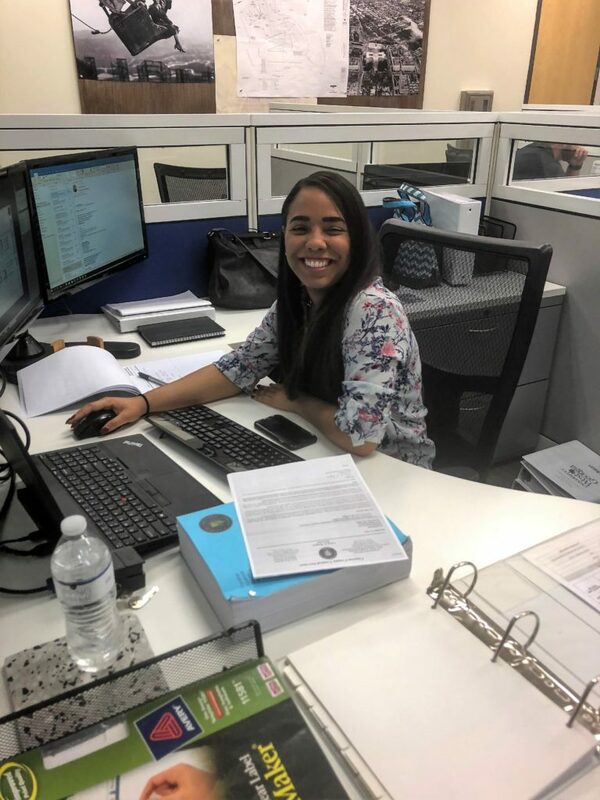 In this week’s ‘Employee Spotlight’, we are introducing you to one of our Assistant Project Managers, Jennifer De La Rosa. Jennifer is a recent graduate of Georgia Tech’s Building Construction and Facility Management Masters program. She is a member of our intern program and has quickly become a vital part of our team. I asked her a few questions about her role at Albion. What made you interested in working for a general contractor? When I was getting my Masters, I became really interested in learning how to oversee the development of a construction project from a project’s initial details through completion. Additionally, getting to work for a general contractor can give us the opportunity to work in several projects at the same time and to get to know a lot of people within the construction industry. Why do you like working at Albion? I love the culture of the company and that we get the opportunity to do a little bit of everything from time to time. I love working on the first stages of estimating, especially doing takeoffs. I could probably say that at the beginning it was the language. Sometimes it could be a little bit hard trying to explain something that you know in a different language. Now, I’m just trying to learn as much as I can. Right now, it’s Grey’s Anatomy. I just finished season 14. Thank you, Jennifer. We absolutely love having you on board!